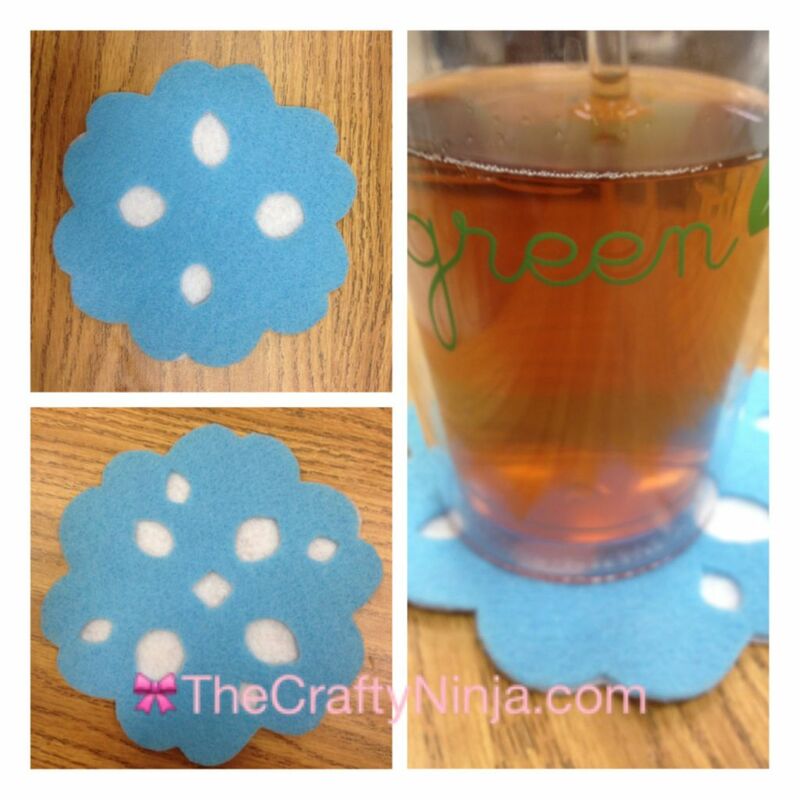 If you’ve ever made a paper snow flake this is basically the same technique to create this felt coaster. 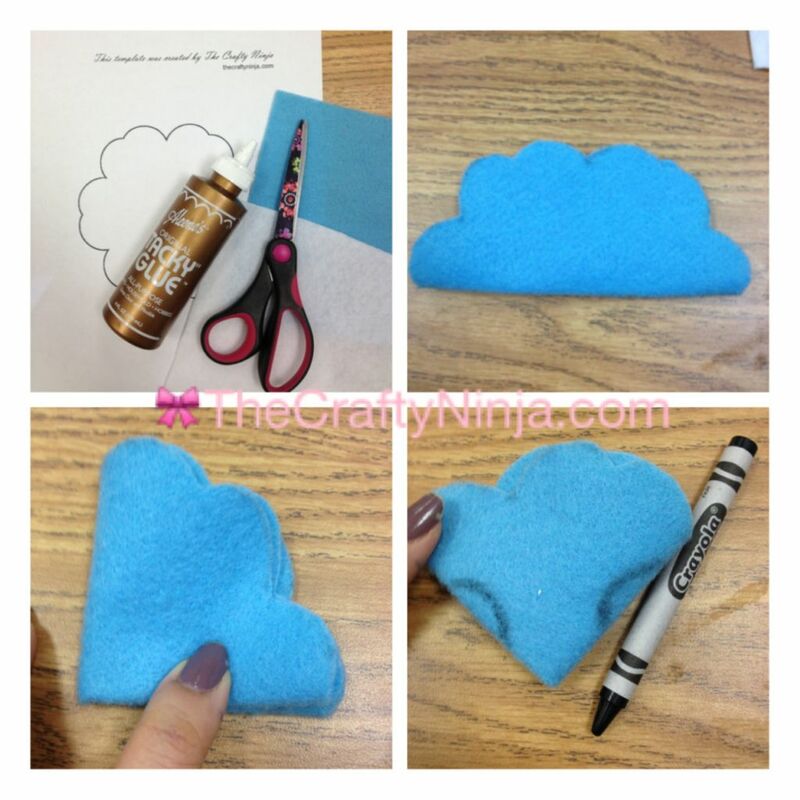 Supplies: Two colors of felt, Scissors, Alieen’s Tacky Glue, Black Crayon, Flower template here. Trace the flower template on two colors of felt and cut out. With one of the felt flowers fold in half, then again in half (fourths). With the black crayon draw a half circle on each side and cut out. Open it up and fold in half in opposite direction and cut half circles or triangles, keep folding in half and cutting until desired design. Glue the felt to the second felt and trim off any extra pieces.